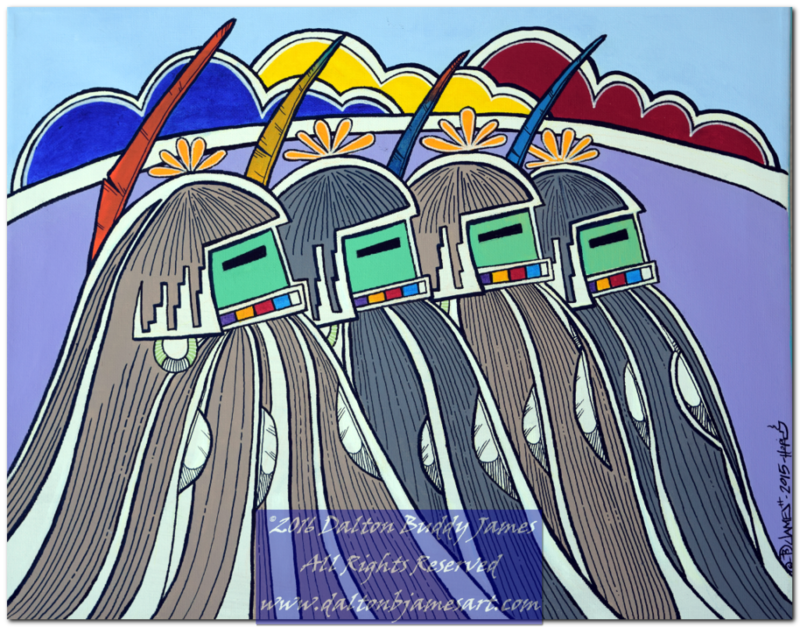 A group of 4 Ang'akchinas (Longhair) kachinas. Dimensions: (WxH) 20"x16" Media: Acrylic on Canvas Created: 2015 Original has been SOLD. A Hopi man smokes sacred tobacco sending prayers for the blessing of rain. Dimensions (WxH): Media: Acrylic on Canvas Created: 2015 Original been SOLD. Elemental designs of "seeds" both in the ground and falling from the sky. 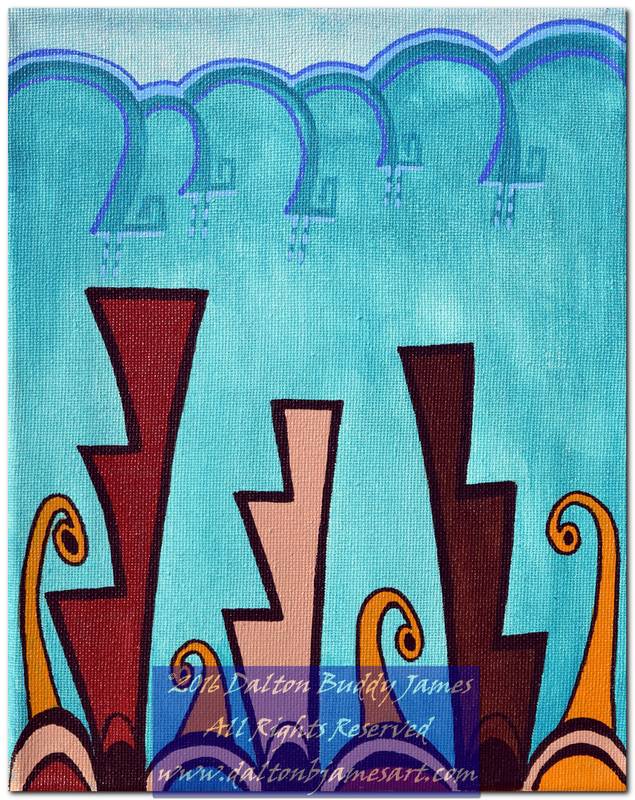 Dimensions: (WxH): 8"x10" Medium: Acrylic on Canvas Created: 2014 Original has been SOLD. Frogs are depicted swimming in a pool of water. Dimensions (WxH): 16"x20" Media: Acrylic on Canvas Created: 2014 Original has been SOLD. An experimental acrylic abstract. MEDIUM: Acrylic on Canvas Paper DIMENSIONS: (WxH) 8"x10" which can be oriented at your leisure. CREATED: 2012 Original is not for sale. 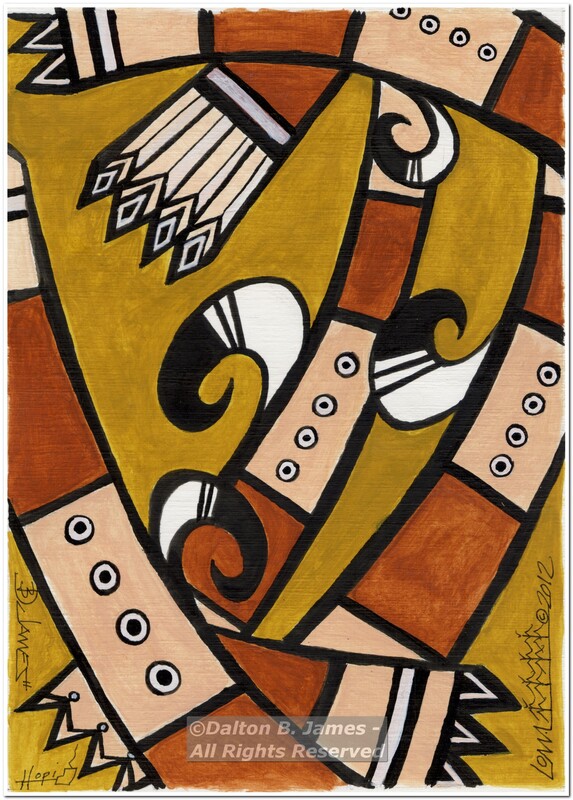 "Pottery Mana 2" depicts a Hopi maiden holding two pieces of pottery in each of her hands. The piece of pottery on the left contains white cornmeal and the piece of pottery on the right contains blue cornmeal. Each type of cornmeal plays an important role in Hopi culture. MEDIUM: Gouache DIMENSIONS: (WxH) 14in. x 8 in. CREATED: 2013 Original is not for sale. For canvas prints or posters visit my Fine Art America site here. All products are 100% guaranteed so order with confidence. Join our email list to get notifications of upcoming shows and content. 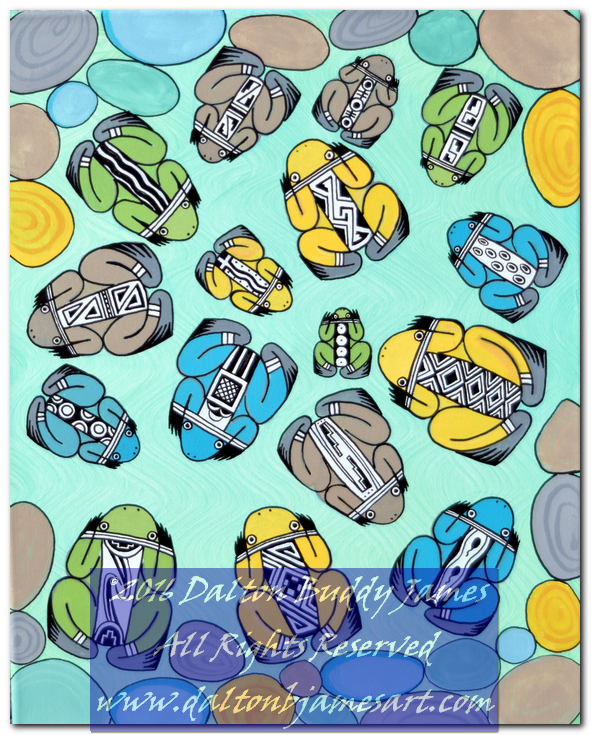 ©2019 - Dalton Buddy James - All Rights Reserved - No content may be used without written permission on file.